Should I make a Facebook Group or Facebook Page? Before Facebook had groups and fan pages, businesses used to create profile pages, that functioned just like your personal Facebook page – meaning that you had to “friend request” people and wait for their approval before they would see your posts. Once Facebook became more business friendly it released its Facebook page capability, which has completely changed the way that businesses interact with their followers. “Should I make a Facebook group or Facebook page?” is one of the most common questions that I get asked. Although these two Facebook features seem similar to many people, they are VERY different and it is important to know how each work. A Facebook Group functions similar to a little chatroom. They allow for small to medium groups of people to interact and post messages to one another. Facebook groups are great for collaboration and planning events, because they allow all the members to equally have control in the group and post on the main wall. You can create open groups that allow for anyone to join, or you can make them invite only. Facebook groups are great for many things, but they should not be used in place of a business pages. Facebook pages were made for businesses. 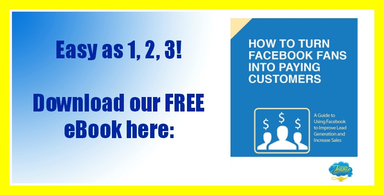 Like I said earlier, Facebook fan pages were created in a way that caters to businesses. When you create your page, it will even ask you what type of business you have and give you an options to write a description of your product or service, along with options for your store hours and contact information. It also is created so that anyone can “like” your page, whether they are your friend or not. Fan pages also allow you to officially manage your page. You can give permissions to different people in your company that allows them to monitor, edit, or post on the page. You can also schedule posts on your Facebook page, which is very handy if you don’t always have time to do it during the day.